FAST FOR PEACE – WHAT’S IN IT FOR ME? Fastforpeace.org was founded on the 70th anniversary of Mohandas Gandhi’s famous fast for peace – August 15, 1947. On the 15th of each month, adults are invited to join in a national day of fasting and reflection. 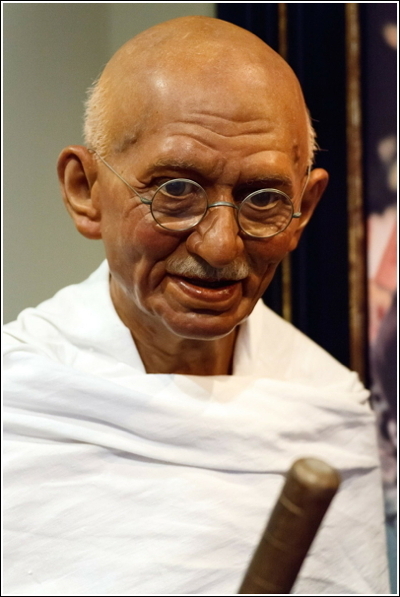 Members follow Gandhi’s example by taking the 30/15/50 vow of self-improvement – a pledge to abstain from alcohol for 30 days, join the national day of fasting on on the 15th of the month, and walk 50 miles in one year. Gandhi fasted for a number of reasons throughout his life. He fasted to help striking millworkers, he fasted for equal rights for untouchables, and he fasted for peace. On August 15, 1947, the day India received its independence from Britain, Gandhi fasted for peace in an attempt to prevent violence from erupting in Calcutta. The British had partitioned India, creating the new Muslim majority country of Pakistan. This left some 14 million refugees on the wrong side of this new border. In the sectarian violence that followed over the next few months, hundreds of thousands lost their lives, including Gandhi himself on January 30, 1948. For thousands of years, fasting has been used by different groups of people as a way to purify oneself and improve focus. In our consumer-driven world of 2017, we have decadence on demand. All around us, we can see the effects of over-indulgence. Fasting is a way to demonstrate self-control as well as provide benefits to our health.